Drop earrings by Devon Leigh. 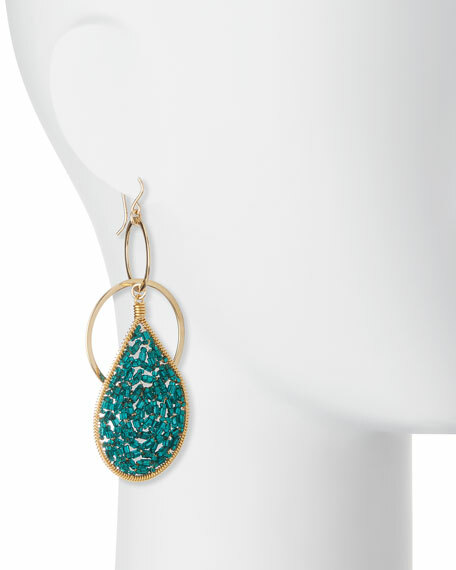 Round and tear-shaped drops with teal seed crystals. For in-store inquiries, use sku #1900408.